The Keen Erickson has a durable waterproof membrane and a sole with an optimal profile for mountain biking and hiking. 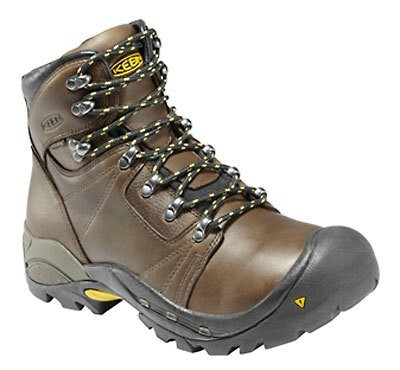 Long stretches of mountain shoe is very comfortable EVA footbed and has a non marking outsole. 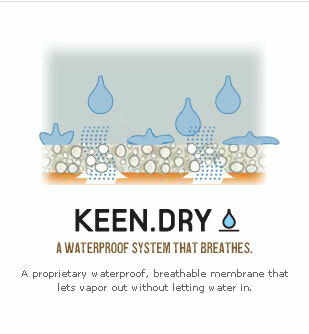 The KEEN.DRY system is a proprietary, water-resistant, yet derives very breathable membrane, moisture from the inside without water can penetrate from the outside. So an absolute top system. The system works as KEEN.CUSH more or less. How about if they could customize the inside of your shoe to your feet? 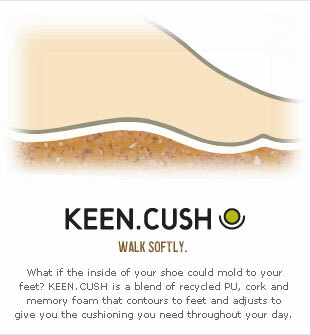 KEEN.CUSH is a blend of recycled polyurethane, cork and memory foam, the nachformt your foot and adjusts itself to him, so that you get as much padding as necessary. Keen has developed a super shoe from the leather. For daily wear of Keen shoes, of course it comes time to get dirty in front of the shoe. For the treatment of dirt or scratches on bright leather, we recommend you to use a leather cleaner.